We are fully qualified in Graphic Design with over 14 years experience of designing a wide range of artwork. We can also take care of the printing so you can relax and leave the full design and print process to us. Here are some examples of what we can do, if you’d like something that isn’t listed please ask and we’ll be happy to help. More examples of our print work can be seen in our Portfolio. Business startup? See our special offer! We can design business cards (single or double-sided) in both small and large batches. 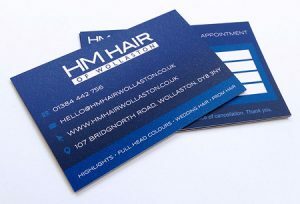 We’ve had many compliments on the high quality feel of the business cards – we don’t use flimsy card! Various finishes are available, please see ‘Printing of your Goods’ below. Whether we have created you a website and you’d like a matching stationery set for your business, or you already have a site and are just looking for a set of business cards or other stationery, we can do it. 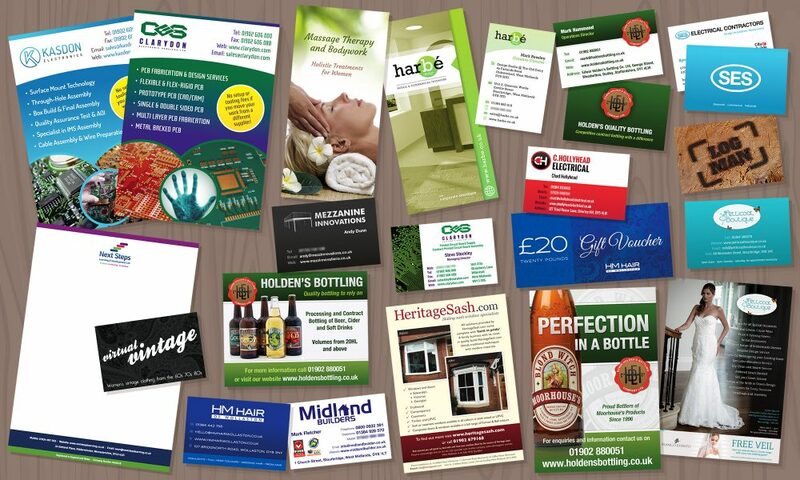 We can design and print flyers in a range of sizes such as A4, A5 etc, and leaflets can be provided ready-folded. Great for handing out at fairs and exhibitions, or for a large leaflet drop. 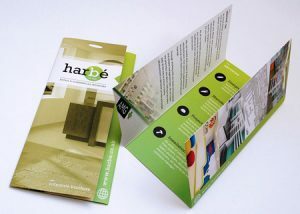 Similar to flyers but multiple pages for when you have more to say, again available in a range of finishes. We can design attractive adverts to advertise your business. Whether it’s a full page in a magazine or brochure, or a small newspaper advert for a sole trader, we’d love to help. We are happy to contact the company you’re advertising through to find out the correct dimensions for your advert. We can also design adverts for online, such as feature ads on website home pages, competitions etc. Perfect for exhibitions as the banners pull up and fold away again, so they’re great for travelling. 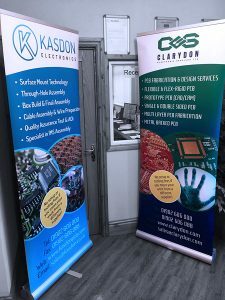 We print our pop up stands on both sides so that they can be viewed from both directions. 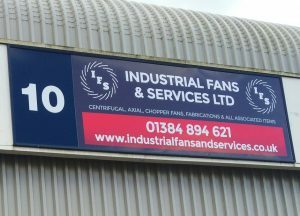 We have designed various signs for buildings so your branding or advert can be seen from a distance. We have a range of finishes we can provide for your printed goods, such as Glossy, Matt-Laminated and Velvet, as well as different thicknesses/ weights. If you’re not sure which is best we can recommend which we think will work best for your company’s image or particular project. Once you’re completely happy with the designs we’ve created, you will receive your printed items delivered to your door within a matter of days, or we can provide you with print-ready artwork if you prefer to send it to your chosen printers.